Now that I have discovered it, I keep going back to Lu Lu's Ice Cream Shop in Winter Park. The quality of ice cream and sorbet there, along with the variety of flavors and helpful staff, is just outstanding. It doesn't hurt that this walk-up ice cream stand is next to Krispy Kreme Winter Park. When the light is on, you can pair a fresh, out-of-the-oven warm doughnut with ice cream. What can be better than that? The other day, I tried Lu Lu's Salted Caramel Ice Cream, which had an amazing flavor. I also brought home the Strawberry Basil Sorbet and the Pineapple Sorbet. I was a little wary of the pairing of strawberry and basil, but it was truly delicious. Both flavors were present in the sorbet. The pineapple was outstanding as well. What I am most impressed by is how LuLu's quality Orlando ice cream supplier achieves such a creamy texture to its sorbets. You would swear you were eating ice cream. 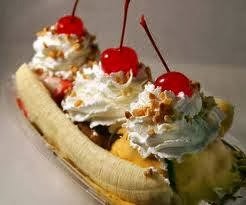 Lu Lu's is also known for its delicous milkshakes and banana splits. 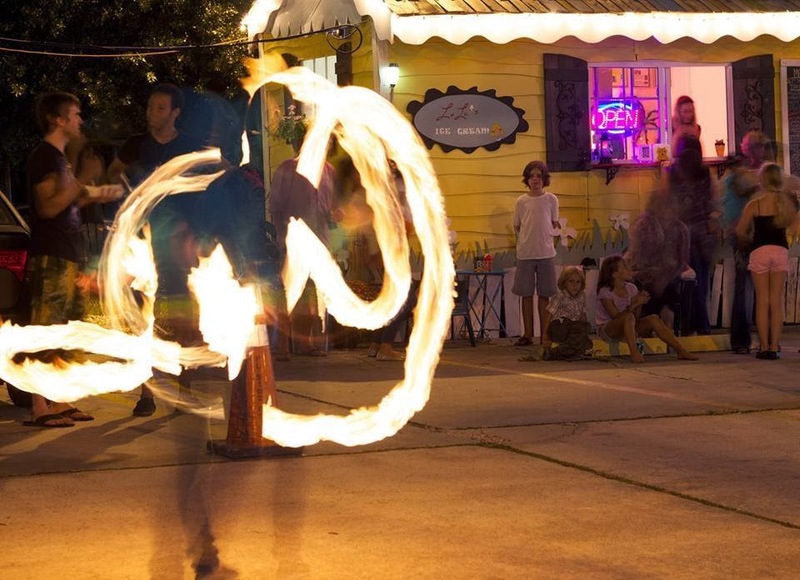 Don't miss the shop's "Light up Lu Lu" event on November 29, which features fire spinners, Christmas lights, and Lu Lu's new winter flavors. Where: 1111 S. Orlando Ave., Winter Park, Fla.
You do not expect a restaurant with "tavern" in the name - and with such reasonable prices - to have such outstanding food and professional servers. That is exactly what we experienced while dining at Marlow's Tarvern Winter Park this week. The outside and inside of the restaurant has been transformed into a cozy upscale restaurant/ bar feel; there are virtually no traces of the McDonald's that used to be in this location! We visited Marlow's Tavern to try the restaurant's new winter menu, which includes apps such as Hoisin BBQ Ribs and Beet, Quinoa & Goat Cheese, along with entrees such as Grilled Salmon and Pomengranate Tuna Salad. Of course, we had to try the new winter drinks as well. Fire on Ice is a must-try: it features flavors that I want in the fall and around Thanksgiving. Made with Cachacha Gold, Blood Orange Shrub and St. Elizabeth Allspice, the allspice flavor is unique and makes the drink. We also enjoyed one of the traditional drinks on the menu: the Grapefruit Ricky. It's not too sweet and is made with voda, fresh grapefruit and lime, and St. Germaine elderflower. I was most surprised by the quality of food served at Marlow's, for the excellent prices charged. The apps are reasonably priced, burgers start at $8.50, and all entrees are under $20. 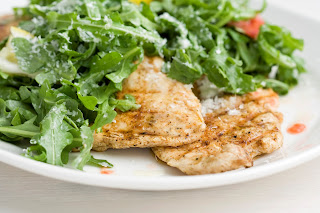 The restaurant - as well as its sister restaurant at Pointe Orlando - source the highest quality meat and seafood for its meals, and most of its produce is purchased within 50 miles of the restaurant. We started with the Lump Crab Beignets, which I have to say are one of the best appetizers I have had in quite a while. Inside a crispy, fried ball, you get flavorful bites of crab, and then you dip this warm goodness in a Wasabi Honey Mustard Sauce. I will return to Marlow's just to enjoy this app along with one of the many craft beers on tap. We tried a couple of the new winter entrees: Crispy Brick Chicken and Pan Seared Trout. The chicken was cooked perfectly and we loved the flavor of the Parmesan and Angel Hair Carbonera with bacon and carmelized onions that was served with the chicken. The trout has a lovely Asian flavor, thanks to the Quinoa Fried Rice and Soy Glaze served with it. What I was most impressed by was that my fish was cooked perfectly: tender on the inside with nice, crispy skin. Even though we were stuffed, we made room for dessert. The new Warm Chocolate Cake is to die for. The Jack syrup and pecans served with the cake make this a perfect fall treat. The Classic Creme Brulee was also delicious. We will definitely return to Marlow's Tavern with friends. We want to try out Happy Hour specials, from 3:00-6:00 p.m. daily, and the brunch, which is served every Saturday and Sunday. One of the most popular items for brunch is the Chicken and Waffles, and I also want to try the Crab Cakes Benedict and Marlow's "Over-stuffed" French Toast. You must also check out the full Bloody Mary bar for Sunday Funday. I have never seen so many choices for Bloody Marys! Where: 1008 S. Orlando Ave., Winter Park, Fla.
We started out our unforgettable dining experience at the Waldorf Astoria Orlando in the hotel's lounge, Peacock Alley. We had to try a cocktail there like no other: The Peacock Egg. So, this delightful concoction is a basically a Gin Lavender Lemonade drink, frozen into the shape of an egg. You sip the liquid through a hole in the egg, which is lit from below. You must try this at least once! Another delicious drink in Peacock Alley was the Waldorf Special, an amazing rum and pineapple martini. Peacock Alley also has several small plates and appetizers, and is a great place to hang out with a glass of wine and enjoy the piano music. tartar was probably the best we have tried, and the cracker was so light. The Tuna "Ring Around the Rosey" is a wondrous platter of tuna prepared three different ways: Tuna Tartar, Smoked Tuna and Tuna Confit. The delicious preparations - we liked all three! - were paired with a sorbet of water from the Atlantic Ocean. The sorbet brought all the various sea flavors to life even more. The starter you must try at Bull & Bear is the Pasta Explosion. The pasta is so light because of a unique phyllo-dough type pasta that is prepared in-house. Inside is a mousse made with the highest quality prosciutto from Spain, paired with Parmigiano Reggiano. The tiny pastas each make for a perfect bite. On to entrees: The New York Strip is unlike any strip steak you have seen. It is so thick, you would think it was Filet Mignon. Bull & Bear gets its steak from a butcher in the Midwest who selects only the top five percent of cows. And you can tell it is a top quality piece of meat, with its delicious flavor and simple preparation. We also had Florida Black Grouper, which is in season. The grouper may have been the most perfectly-cooked piece of fish I have had: not overdone and crispy skin. But the flavors that are paired with the fish is what I will remember most. The light almond milk sauce (prepared dairy-free for me) and walnut oil atop the quinoa accompaniment added a different flavor profile to the fish, which I really loved. with house-made aioli and ketchup. Can I just say the accompaniments are perfect? The French Fries themselves were crispy, but too salty for my taste. There are so many amazing desserts to choose from at Bull & Bear, including Beignets. Because we were so stuffed, we opted for something lighter: The Lemon. I'm so glad we did. You cannot really understand how unique and flavorful this dessert is until you try it for yourself. Waldorf Astoria chefs basically developed a way for guests to enjoy all parts of the lemon. The candied lemon rind is delicious, as is the lemon curd. The lemon sorbet is probably the lightest sorbet I've had. Obviously, we were beyond pleased and impressed with this dinner. The atmosphere is incredible, as is the service. A team of servers takes care of your every need. I also appreciated how the chefs prepared special foods for my gluten-free and dairy-free needs. So many people have food allergies, and this is one restaurant that makes a variety of delectable options available for those with special diets. Are you looking for an unforgettable dining experience this weekend? I promise that you will find that at the Waldorf Astoria Orlando and Hilton Orlando Bonnet Creek's Orlando Food & Wine Weekends, which run through November 9. The two fabulous properties have created unique culinary events that complement the Epcot International Food & Wine Festival. However, after dining at the Waldorf's Bull & Bear restaurant, I can tell you that the food that these expertly-trained chefs whip up - and the personalized treatment you receive - will be far beyond the crowded experience of the Food & Wine Festival. Every weekend, the Waldorf and Hilton Bonnect Creek features the events below and more. Pick and choose which ones you would like to try, and then go back next weekend for something different. 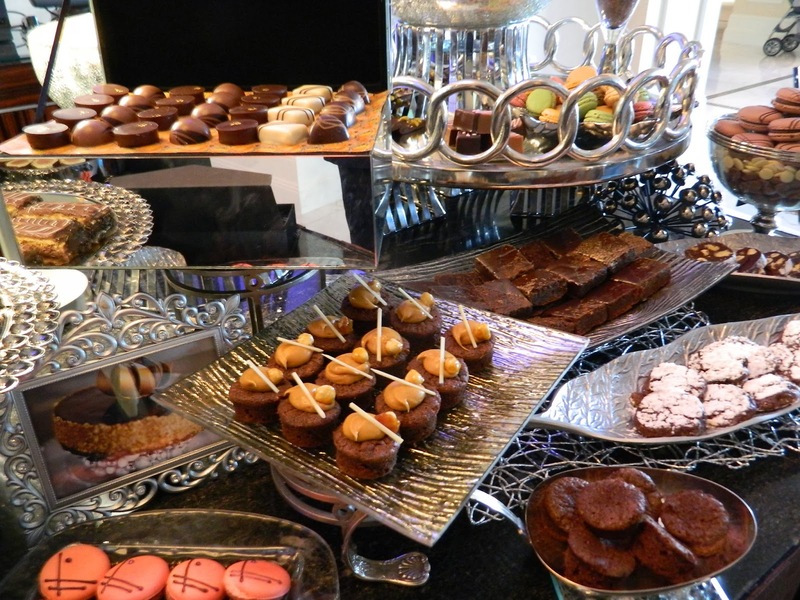 Bar du Chocolat and Champagne Tasting: choose from a buffet of carefully made chocolate treats from Waldorf Astoria Orlando's world-class pastry team, using recipes from all over the world. These chocolate conocotions are paried with an extensive selection of fine champagnes. A Taste of Waldorf Astoria: try exclusive tasting menus and wine pairings from master chefs in the Waldorf Astoria brand. II Cibo Della Vita: New tasting menus and wine pariings every weekend from the kitchen of La Luce by Donna Scala at Hilton Orlando Bonnet Creek. Pea Ringu - The Art of Sushi Pairing: the outstanding culinary team at Zeta Bar & Sushi Lounge explore perfect pariings for its outstanding sushi dishes, includign beer, sake, and wine. Royal Tea: Guests can savor to tea, house-made pastries, and tea sandwiches in the wonderful, fun environment that is Peacock Alley. For more details on these events, visit www.waldorfastoriaorlando.com/food-wine or www.hiltonbonnetcreek.com/food-wine. Run, don't walk to the Enzian to see "In a World...." This indy film, written and produced by Lake Bell, had our whole family laughing throughout. That is difficult to do, when you get a group of people together who all have different interests and backgrounds! Bell also stars in this movie, as a struggling vocal coach who strikes it big in the cutthroat world of movie-trailer voiceovers. The many dysfunctional family moments throughout are great, since she is competing against the voiceover king of the day, which happens to be her father. I love going to the Enzian, not just for the movies, but for the atmosphere. It is nice to sit back and relax and order real food (not just nachos and hot dogs) and adult beverages. All the meals I have had there have been delicious. There are quite a few different sandwiches, salads, pizzas, and desserts to choose from. For snacks, I recommend the Truffle Fries and the Popcorn. Yum. Homemade, buttery tasting popcorn. Where: 1300 S. Orlando Ave., Maitland, Fla. I don't understand why more Orlandoans don't think of Jacksonville and Jacksonville Beach for a long weekend getaway! I had a chance to experience the city recently and want to share with you the best places to stay, eat and play. I think what really made our trip special and relaxing was staying at the Wyndham Jacksonville Riverwalk on the St. John's River. I would highly recommend staying at one of the hotel's expansive suites on the fifth floor. When you walk into your suite, the first thing you see is the amazing view: the immaculate 1.2-mile wooden Riverwalk sports a ferry that takes you to Broadway plays and the symphony. And the backdrop is the beautiful Jacksonville city skyline. Inside the suite is a massive living room with modern furniture, a kitchen/ bar area, a beautiful bedroom with king-size bed, and the biggest hotel bathroom I have ever been in. Seriously. This bathroom sports a jacuzzi tub, shower, and even a closet. Fortunately, you don't have to go far for food and drinks. The Wyndham Jacksonville Riverwalk sports the Currents Lounge, which has an elegant atmosphere and upscale cocktails to match. The lounge's dinner menu - which features many Cajun dishes - is quite extensive. You can ask the mixologist to create one of his unique concoctions. The night we were there, he crafted a delicious chocolate strawberry margarita! For dinner, we tried the special of the day: grouper with rice pilaf and vegetables. The fish was cooked alright, but was quite greasy. The rice and vegetables were good. We also had the Cajun Chicken and Shrimp Pasta. It was seasoned well, but was oversauced. Within walking distance of the hotel is the highly-rated BB's Restaurant and a yummy Thai eatery. Stay tuned: next week, I'll tell you about the other great places to eat in Jacksonville and Jacksonville Beach! Amura: Does Good Value & Food Offset Horrible Customer Service? For Sunday brunch at Amura in Lake Mary, you can enjoy pretty good sushi and other Japanese-style dishes for a reasonable price. 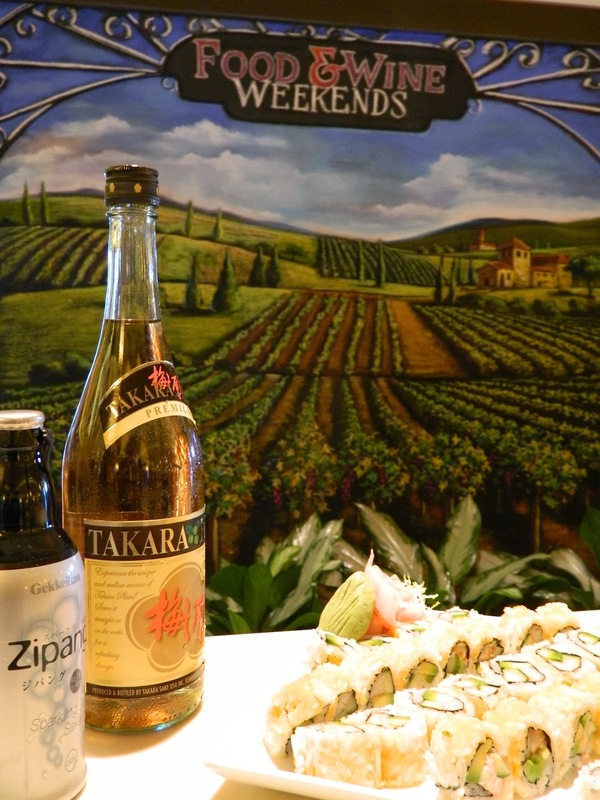 You can choose from a long list of the restaurant's high quality rolls at $12.99 for two rolls. And, $12.99 can get you a variety of entrees such as Spicy Garlic Shrimp, Chicken Cashew and Top Sirloin Delight. When I arrived, seeing all the choices on the menu made me happy. I enjoy Amura's sushi but find that it is over-priced and not as good as Fuji Sushi and other restaurants in town. On the recent Sunday I visited Amura Lake Mary with a friend from out of town, the restaurant must have been understaffed. That is the only reason I can think of for the slow service and the customer service fiasco that ensued. Because of an allergy to gluten (and therefore, vinegar that is included in most sushi rolls), I asked that my sushi be made with plain rice or rice paper. Although there was only one roll wrapped in rice paper on the menu, our waitress assured us that the chefs could make any of the rolls on the menu with rice paper instead of rice. It turns out they couldn't. The plate was brought out with one roll made with rice paper, and the other with regular rice. The roll with rice paper had sauce on top, which I asked to be left off. Before I sound too bitchy, know that I am always understanding that some restaurants are not used to dealing with food allergies. I am very patient and explain why I can't have a sauce or a particular ingredient. However, when the waitress tried to take the rolls back to the kitchen - after what had already been a half hour wait - the manager came to the table and asked what was wrong. I explained the situation and he said there was nothing they could do to help or to alter the dish. I felt like he was begging me to leave. His attitude was so rude and careless. In fact, I did decide to forgo ordering a different dish - because he said there was nothing they could do to help me - and leave the restaurant. At the same time, I was embarrassed that my friend from out of town, whom I was trying to show off Lake Mary's great restaurants to, had to leave as well. Fortunately for her, the Hurricane Roll and Bubble Roll she ordered were very well made and delicious. Many readers believe that Amura has the best sushi in town. I disagree. I have experienced - and heard about - so many other great sushi eateries. One of my favorites - for the sushi rolls, Chili Garlic Edamame, and eclectic atmosphere - is Sushi Pop in Oviedo. Where do you go for sushi? 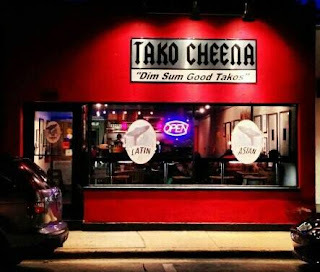 A loyal Flavorful Excursions reader and friend has been urging me to try Tako Cheena since it opened less than a year ago in the Mills District in Orlando. I can see why. This small, unassuming Asian fusion spot (I call it Asian-Mexican, but there are lots of other flavors incorporated into the food) provides something new and different to the Orlando dining scene. The "takos" are reasonably priced and delicous, and the restaurant draws a young, eclectic crowd. Our favorite tako was the Panko Crusted Cod tako, which is lightly breaded and has just the right amount of crunch with coleslaw and a sweet and sour sauce. The house-made sauce, which is both sweet and spicy, blanaced out the cod perfectly. We also liked the Korean Beef tako, which features delicious marinated beef, house-made Kimchi, cliantro, and roasted sesame seeds. For some reason, the beef itself had a weird texture, so we would recommend the cod tako over the beef. The entire staff was so friendly and welcoming, especially when I mentioned I had food allergies. This restaurant goes out of their way for guests on special diets, including vegan, vegetarian and gluten-free. Since I eat gluten-free, I was able to order my Thai Peanut Chicken tako served over rice (you can also order any of the takos served over cabbage slaw). It was delicous over rice! The secret recipe peanut sauce is to die for. I loved the perfect balance of sweet and spice in that sauce, and it made the dish. Have you tried Tako Cheena yet? Please post your review below. Where: 932 Mills Ave., Orlando, Fla. I had been anticipating my visit to Hook Gulf Coast Cuisine in Pass Christian, Miss., for months, and I ended up loving the food even more than I thought I would! During my recent trip to the Mississippi Gulf Coast, my family and I had the pleasure of enjoying the atmosphere and culinary inspirations of Chef Corry Hudson and his team at Hook. I love the light, airy, Cape Cod-type feel of the restaurant. It is small and clean, with a separate dining room for groups. It was difficult to choose our appetizers, entrees, and desserts - everything looked good! One of our favorite appetizers was the Southern Style BBQ Shrimp. It featured such a light, spicy sauce, without an overpowering barbecue flavor. The Bacon-Wrapped Shrimp was surprisingly light, crispy and flavorful. The gumbo was very full-flavored, but had slightly too much pepper. I ordered one of the most popular entrees at Hook: the Tripletail Escabeche and Mashed Potatoes. The Escabeche is a light but full-flavored Mediterranean sauce that pairs perfectly with the fish. I loved the fish on its own, though: it was cooked perfectly and is such a light, non-fishy choice. The mashed potatoes are to die for! We also tried the Crab Stuffed Shrimp, which is topped with a sweet lemon butter sauce. It was also perfect. The breading on the Seafood Platter - which features Mangrove snapper, oysters, crawfish, and shrimp - was so light and the seafood was cooked just right. For those who are not seafood lovers like myself, I would also highly recommend Hook's Parmesan Crusted Chicken served over pasta and topped with a Citrus Beurre Blanc, as well as the 12-ounce Ribeye and Chicken Roulade. Hook's desserts are made fresh in-house and every one is unique and delectable. On this night, we sampled the Bread Pudding, the Chocolate Icebox Pie, and the Carrot Cake. The bread pudding was so ooey-gooey and flavorful. The Chocolate Icebox pie, made with dark chocolate, was rich but still very light. And the Carrot Cake is one of my favorites. Unlike other carrot cakes I have had, I could taste the carrots, raisins and pecans in the cake, and it was still very light. I would highly recommend Hook Gulf Coast Cuisine on your next trip to the Coast! If you have tried Hook, let me know your favorite dishes in the Comments section below. Where: 133 Davis Ave., Unit M, Pass Christian, Miss. Holy crap! That is the name of one of Yellow Dog Eats sandwiches and I can see why. When you take your first bite of The Holy Crap ($10.95), that is exactly what you say! The shaved honey mesquite roasted turkey paired with bacon, goat cheese, avocado, and basil mayo inside hot pressed bread all melds together in your mouth, as your eyes roll back in your head. Then, you realize that this is not the only sandwich to choose from at the iconic Windermere eatery, located in a colorful, 100-year-old building. There are several other specialty sandwiches, plus dishes such as ribs and salads. We had the Pulled Pork Nachos ($10.95), which are truly unique and flavorful, thanks to the black beans, BBQ sauce, Thai chili sauce, cilantro sour cream and other yummy ingredients. The 1/2 Rack of Ribs with Gold Sauce ($9.95) are extremely yummy. The barbecue sauce is tangy and not overly sweet like some sauces. The ribs are cooked perfectly and are not greasy. On the lighter side, the Smokey Smoked Salmon Salad ($13.95) was unique and delicious. The salmon - a good portion! - was so tender and delicious and was served over field greens, a raisin and nut mix, shredded carrots and dikon sprouts. Back to the sandwiches. We also tried the Retriever's Roast ($9.95), which features Gouda cheese, an orange cointreau mayo, carmelized onion and a sweet pimento spread. All the flavors meld together perfectly in each savory bite. You also need to try the unique Club Elvis, one of Yellow Dog Eat's several pulled pork sandwiches, topped with bacon, Gouda cheese, and fried onions. Go to Yellow Dog for the atmosphere as much as for the food. The patio is a fun, relaxing place to eat and you can bring your dogs. Inside, the graffiti on the walls and antique dog statues help give the restaurant that fun, casual feel. I also like the new wine bar! The roosters walking around outside - and nesting in the trees! - help to give this place a Key West vibe. Note: this is one of those places that is always packed, so try not to go during the busy lunch and dinner hours. Where: 1236 Hempel Ave., Windermere, Fla.
Where else can you find Rabbit Meatloaf with Pickled Green Beans and Nashville Hot Chicken Sandwich for a business lunch in Orlando than at Cask & Larder? The "Southern public house" eatery, which has been operating for nearly a year, is known for its pig roasts, its outstanding upscale Southern comfort food dinner, and its scrumptious Sunday brunch. Now, the restaurant has expanded to offer lunch on Wednesdays through Saturdays, from 11:30 a.m. - 2:00 p.m. If you have never had the opportunity to try Cask & Larder - the brainchild of James Beard-nominated chefs James and Julie Petrakis - the reasonably-priced and eclectic lunch menu is the perfect chance. When I previewed the menu last week, I was pleased to see some Southern favorites, such as Po'Boy and Muffuletta, with Cask & Larder's special twist. "Everything is Southern inspired. We do our own picking and meat curing, and use our smoker in back daily," chef de cuisine Rhys Gawlak, told Flavorful Excursions. The Po' Boy ($13) is served on a celery seed hoagie with crispy oysters and bacon, and green tomato chow-chow. All the snacks look amazing, including the Basket ($7) which includes hush puppies, fried garlic-dill pickles, okra, and savory scones, served with hot sauce aioli. My dining companion tried the Crostini ($13), which includes blackened Royal Red shrimp, red pea hummus, and frisee slaw. He said it was delicious. Now on to the entrees that I truly enjoyed and would recommend that you order. The Peel-n-Eat Shrimp ($15), swimming in a sauce of wit beer, orange juice, fennel pollen and spicy peppers, and served with a baguette, was so delicious. I loved how all the flavors worked so well together and appreciated that the shrimp was not overcooked. The Rabbit Meatloaf ($14), served with potato puree, marinated mushrooms, crispy haricot verts and picked quail egg had a very interesting flavor. It provided just the bit of gaminess that rabbit provides without hitting you over the head with it. I am not sure the quail egg is needed, though. I would also highly recommend the Bibb Lettuce Salad ($12), which is served with spiced pecans, candied squash, watermelon radish, and buttermilk dressing. The heat from the radish and pecans pairs perfectly with the delicate Bibb lettuce and candied squash. Next time I visit Cask & Larder for lunch, I plan to try one of the restaurant's unique cocktails, including C & L Lemonade, which consists of Enlightened Grain Tea and Sage infused vodka, house-made pink lemonade, and Fever Tree ginger beer. Plus, Cask & Larder also offers an extensive selection of its House Brews for $6. What do you think of Cask & Larder's lunch, dinner, brunch and pig roasts? I would love to see your review below. Where: 565 West Fairbanks Ave, Winter Park. Fla. I have been dying to try Gigi's Cupcakes since the chain expanded to Orlando a few short months ago. The gourmet cupcakes look so delectable on the brand's Facebook page and a friend has recommended Gigi's gluten-free cupcakes. I tried three of Gigl's cupcakes and one if its many cheesecakes. First to the cupcakes: I tried Wedding Cake first (the gluten-free version) because it is one of the chain's top sellers. I am not sure why. They have so many more interesting flavors, such as Blueberry Lavendar and Margarita. The cupcake was good and moist - just not different and interesting. However, the overly sweet, artificial-tasting frosting turned me off. Especially when it is piled high on the cupcake. 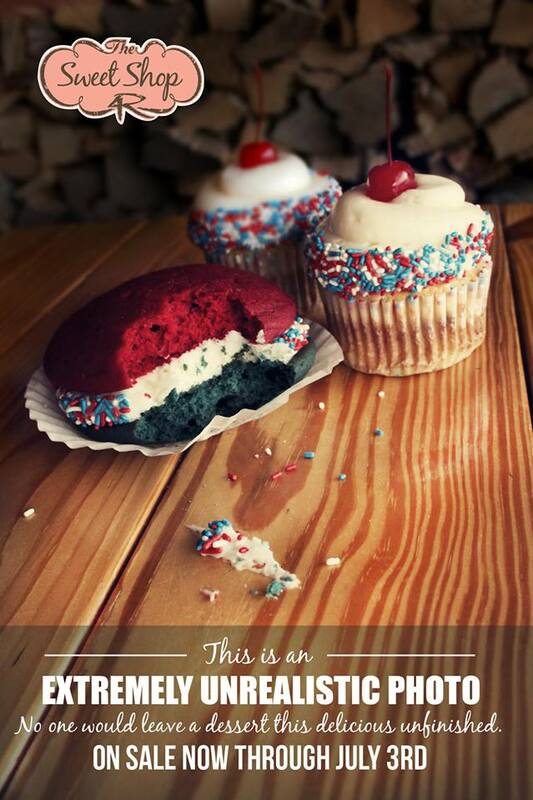 Although Gigi's cupcake frosting looks beautiful in photos, you only need a third of it with each cupcake. The gluten-free cake was so light and fluffy, but still had a bit of the grit that gluten-free baked goods sometimes have. Even though they are denser, I prefer Raphsodic Cooperative Bakery's gluten-free cupcakes. much frosting on top. Likewise, the White Midnight Magic cupcake was very yummy, but we don't need all that sweet frosting. Overall, I much prefer the gourmet cupcakes from Sweet! by Holly in Waterford Lakes and Jacksonville. At Sweet!, I love the cake itself, the frosting, and the interesting crusts and fillings that many of the cupcakes feature. But wait, there is one piece of good news: Gigi's Turtle Cheesecake is amazing. I love the tangy New York-style of cheesecake that is both flavorful and moist. The caramel frosting on top with mini chocolate chips is one of the best frostings I have had. When you go to Gigi's, stick with the cheesecakes. 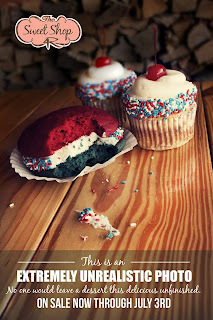 If you have visited Gigi's, do you agree with my review? Please comment below. 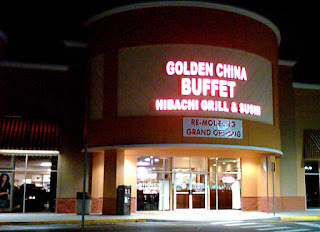 Where: 2562 E. Colonial Dr., Orlando, Fla.
Golden China Buffet: Decent Food, Great Prices! I never expect to get the best Chinese food of my life when I visit a Chinese buffet. But I do know that I will have a chance to try a wide array of apps, entrees, and desserts for a great price. Instead of ordering take-out, next time I would suggest having a night out at Golden China Buffet. We recently visited the company's Lake Mary location for dinner. I was surprised and impressed by the variety offered at this fairly small restaurant, but was most happy with the prices. $10.95 for all you can eat dinner for adults and $3.99 for kids? Perfect for families! We wanted to try everything, but settled on a few options including the traditional fried rice (very good! ), sushi (pretty yummy! ), and Shrimp with Onions and Bell peppers, which was also very tasty. Our crab rangoon was just okay, but I wouldn't expect this restaurant to have the best crab rangoon ever; that distinction goes to Imperial Dynasty in Longwood. The French fries were actually pretty good, as well as the pigs in a blanket-style hot dogs for kids. Because I have food allergies, my favorite offering at this location is the made-to-order Hibachi grill. You can choose rice, rice noodles, or Soba noodles along with pork, shrimp, or chicken. Then you can choose from a wide variety of veggies. Give your plate to the chef and he will grill a fresh meal in front of you. This is a great way for people on special diets - including vegan or vegetarian - to eat out with friends. Have you tried Golden China Buffet? If so, I want to hear from you. Please leave your comments below! Where: 4225 W. Lake Mary Blvd., Lake Mary, Fla. I distinctly remember a special meal I shared with business acquaintances a few years ago. It was one of the best meals of my life, and it took place at Emeril's Orlando. Not only was the food outstanding, but the service and ambiance of the dimly-lit, high-ceiling restaurant at Universal Orlando CityWalk made the occasion extremely memorable. I haven't been back since, but obviously not because of the experience I had. I simply have not taken the time and, frankly, I worry about the cost of eating at a fine dining restaurant from one of the greatest chefs of our time, Emeril Lagasse. Now, I have a new reason to eat there! Emeril's Orlando is offering a special 3-course meal for $30 through June, July and August. I am excited that a different menu is featured for each month. For June, the featured appetizer is Poached Oysters in Herbsaint Cream with Black Pepper Creme Fraiche. Then, you can choose one of two entrees: Poached Salmon with Mango Salasa, Coconut Rice Pilaf and Tortilla Chips or Braised Beef Short Ribs with Cheddar Polenta and Coleslaw. Dessert is a heavenly-looking White Chocolate Buttermilk Cake with Strawberry Sauce. The July 3 for $30 menu also looks amazing. Featuring recipes appetizer from Emeril at the Grill, the appetizer is a Watercress, Avocado and Mango Salad. Entrees include Salmon with Peach-Tamarind Barbecue Sauce and Chicken Paillards with Arugula, Roasted Peppers, Parmesan Cheese and Lemon. I want to try both! 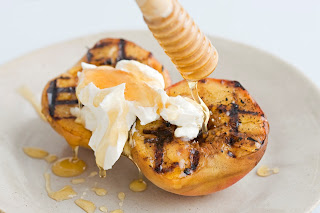 And now for one of my favorite desserts: grilled fruit. The dessert option for July is Grilled Peaches with Mascarpone and Local Honey. I will unveil Emeril's 3 for $30 August menu next month. Meanwhile, get to Emeril's before the June deal is over! Where: 6300 University Blvd., #702, Orlando. Many of you were alarmed last week by the City of Orlando's proposed rules for food trucks - and you should be. The new requirements would drive many food trucks out of business or at the very least, push them out of the downtown area of Orlando. "As you can see we have passed 1,000 'likes' on this page. We are encouraged and energized by the support for our businesses and this showing of community spirit. We don't want to constantly push out messages here and clog up your news feeds, but we want to keep you informed and let you know that we didn't simply put up this page hoping the issue would fix itself. We have spoken to City or Orlando Staff and have met with two City Commissioners so far. Both commissioners have been receptive to the fact that parts of the pilot program would effectively force us to leave the City of Orlando to run our businesses. There a several requirements and restrictions that are overly burdensome and unfair. We are asking the Mayor and Commission for reasonable changes and a seat at the table for discussions on the topic. We will make updates here and hopefully be able to report some good news, but if necessary we may use this page to ask all of you to email and call Orlando leaders and possibly to attend a City Council meeting. Please keep an eye out for our messages and again we truly appreciate your support and involvement." Happy National Black Cow Day! 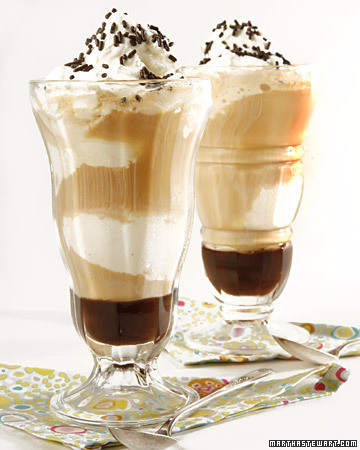 Fill a tall water glass or sundae class about half way with Barq's root beer. It has to be Barq's, because Barq's is best! Add 2 scoops of chocolate ice cream. After foam settles, add more root beer to fill glass to top. Top with lots of whipped cream and chocolate sprinkles. Add spoon and large straw and enjoy! Those who know me well, know that it takes a lot to get me upset. However, I am livid after hearing about the new short-sighted reguations from the City of Orlando. Any time you make life more challenging for small businesses - in this case, my food truck friends - you threaten to harm the economic livelihood of the city. The "pilot program" regulations would not allow food trucks to park on the sides of any streets and they would have to stay out of most of the downtown area, unless they get a concession license with the city. Food trucks that want to do business in Orlando - relegated to parking lots and food truck events - must obtain a mobile food vending permit and a license from the Flroida Department of Business and Professonal Regulation. These are all requirements that were not in place before, requiring the trucks to pay extra fees and, for many trucks, taking away the spots that their customers are used to finding them at. Usually, "The City Beautiful" does a great job promoting itself to tourists, but not this time. 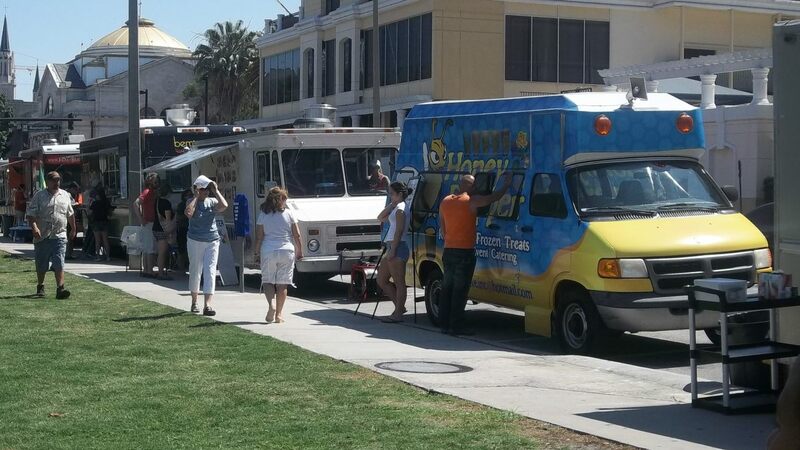 Did you know that, not only are food trucks popular with so many people locally, but visitors seek them out as well? I can't tell you how many out-of-town people contact me to find out which food trucks they should try when they are in town. The trucks offer something unique to the Orlando food scene - something that many visitors cannot experience in their towns. Plus, food trucks bring millions of dollars into the City annually. I am not just figuring what locals and visitors spend at food trucks. I am considering all the people that food trucks hire. I am thinking about how those employees then go out and spend money in our community. I am also thinking about the other local businesses that food trucks benefit. Bars in the downtown Milk District, for example, benefit from the popular Tasty Tuesdays in the Milk District event. Event-goers buy their food and bring it inside to eat at the bar. Tasty Tuesdays has introduced many new people to this hip, urban neighborhood downtown. Some say these regulations are being put into effect because restaurants and bars complained that food trucks are taking their business. Then do a better job with your food and your service! America was built on competition, and that system will remain in place as long as we live. Restaurants not only face competiiton from food trucks, but also from other restaurants, grocery stores that are selling better food-to-go, and even from convenience stores and drug store chains. Bottom line: I don't believe food trucks - which add so much to the culture and livelihood of Orlando - should be the target of the City of Orlando, or of other food providers. What do you think? Sound off below. Even though The Ravenous Pig in Winter Park, Fla., has been around for a few years, I so enjoyed re-discovering it on a recent special night out. The ambiance is perfect for a special occasion, or even for a quick lunch of one of the best burgers in Orlando. At night, the food created by James Beard Award nominated chef-owners James and Julie Petrakis is complemented by low lighting and antique-looking ceiling tiles. This place has character. Even more importantly, the unique food is reflective of the caliber of chefs preparing it. There were so many dishes recommended to me by friends and loyal customers, including the Florida Black Grouper, the shrimp tacos appetizer, and of course, the House-made Charcuterie and Artisan Cheese plate. The Ravenous Pig has a charcuterie in-house and prepares and smokes all of its meats. On this evening, we wanted to try a couple new entrees: the Painted Hills Striploin and the Loch Duart Salmon. The steak-sauce rubbed striploin was accompanied by soudough gundi, smoked bone marrow, royal trumpets and tomato bearnaise sauce. First off, the presenation is top-notch. The tender bone marrow has a wonderful smoky bacon flavor. When you take a bite of everything together - including the bitter greens on top - the flavors complement each other perfectly. The salmon was cooked absolutely perfectly, but I was most impressed by the multi-layered bacon-tomato soffrito sauce accompanying the fish. It is wonderful to taste the smoky bacon flavor alongside fresh tomatoes and other vegetables. Because The Ravenous Pig's entrees are light, we actually had room to try some of the restaurant's amazing desserts. We are so glad we ordered The Turtle Tart - where has this been all our lives? Every bite of this chocolate ganache tart served with dark chocolate sorbet, salted caramel custard and cashew brittle was absolutely heavenly. That house-made brittle is to die for! We also tried the Crisp, a cobbler-type dish featuring Florida peach and blueberry, oatmeal streusel and accompanied by tarragon ice cream. My first encounter with tarragon ice cream was a pleasant one! The fruit was seemed overly sweet, but I was enthralled with the oatmeal streusel on top of the dessert. Among the drinks we suggest you try include the Gin & Jam, which features house-made peach jam, gin, and house-made sour. It is perfect you like cocktails that are on the sweeter side. The Los Coast White Ale is a nice, mild, ale without a strong citrus flavor. We really enjoyed both drinks. Bottom line: visit The Ravenous Pig as soon as you can. Just be sure to make a reservation. And don't forget about their special events like pig roasts and clam bakes. The Flap Over Fast Food on Park Ave.
Have you heard the flap over the type of restaurants that are making their way to Park Avenue in Winter Park? 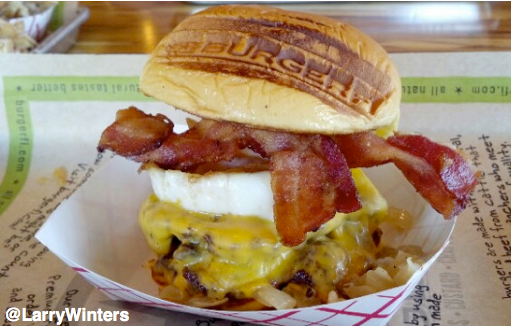 BurgerFi opened at the end of Park Ave. near Rollins College last year and has been hopping ever since. Now, Firehouse Subs is planning to open an eatery there later this year. To get around Winter Park regulations on only having "fine dining" restaurants on Park Ave., the sandwich shop will have wait staff and menus on its tables. "They're going to be the only Firehouse Subs in America that provides waiter/ waitress table service," said Jeff Briggs, Winter Park's development director, in the Orlando Sentinel. However, to keep up Park Ave.'s atmosphere of upscale, independently-owned restaurants, city officials are trying to tighten regulations to keep out fast food-style restaurants in the future. If the regulations don't change, we could see Burger King or McDonald's making their way to Park Ave. for the first time, according to Briggs. Technically, you can't disallow chain restaurants. For example, Starbucks is a prominent fixture on Park Ave., even though it competes with the smaller, independent Barnie's Coffee Kitchen. Do you agree with keeping fast food and chain restaurants off of Park Ave.? Why or why not? Sound off in the comments section below. Besides the Epcot Food & Wine Festival, the Taste of Winter Park is the local food festival that I look forward to every year. I am sure all my foodie friends agree. Where else can you sample dishes such as prime rib from Shula's Seakhouse, jumbo shrimp from Mitchell's Fish Market, and lobster hot dogs from The Ravenous Pig? Not to mention unique desserts such as Lavendar Tea Cake with Chambord Icing and all the wine and beer you would like. 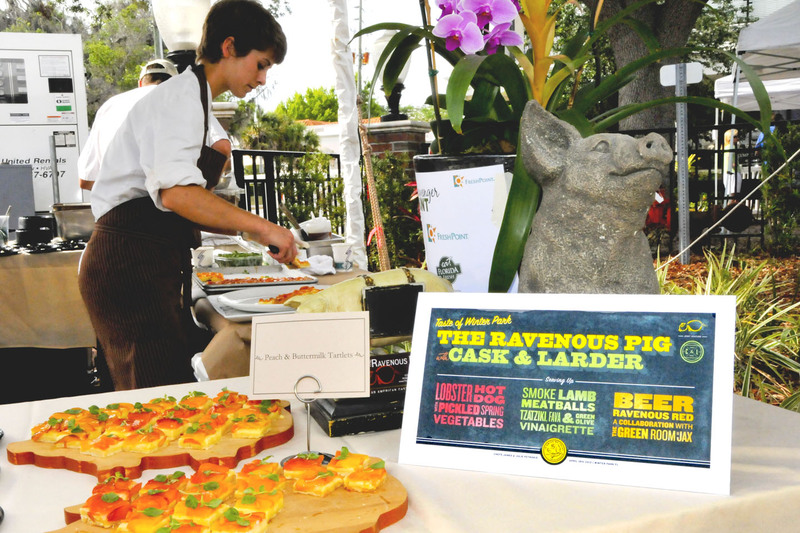 This year, the Taste of Winter Park is featuring 45 restaurants and shops, including 4 Rivers Smokehouse, Cask & Larder, Luma on Park, P.F. Chang's, Kilwin's Chocolate and Ice Cream, Whole Foods Market, and Prato. For $45, you get as many food and drink samples as you would like. This is a wonderful way to try new restaurants along with all of your favorites. When: Wednesday, April 17, 5:00-8:00 p.m. It's finally here: my favorite day of the year. Seriously, who doesn't like grilled cheese sandwiches? Today is National Grilled Cheese Sandwich Day! I think I make a pretty mean grilled cheese sandwich, but then I heard about an Orlando restaurant that serves really unique ones. 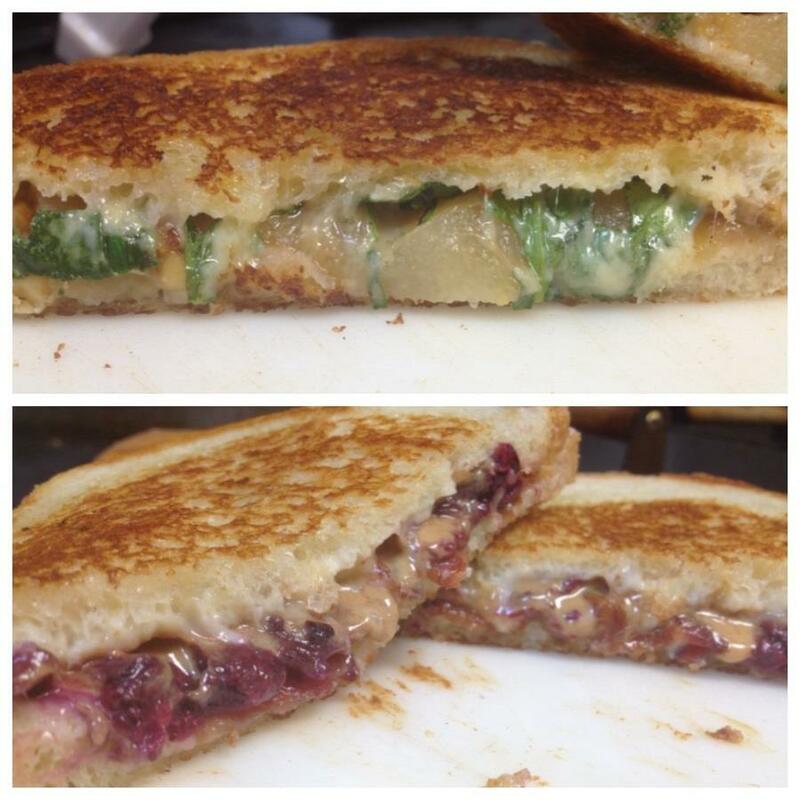 For example, today's two specials at Toasted Restaurant in Winter Park are: Roasted Pears, Havarti, Gorgonzola, Arugula and Ginger Candied Walnuts and the PBJ - Fontina, Peanut Butter, Bacon and Blackberry Mash. Wow, I can't wait to try this place. 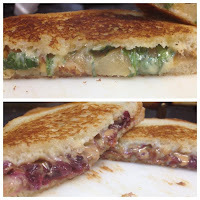 Toasted also has vegan grilled cheese sandwiches, using its in-house coconut milk cheese. When you make grilled cheese sandwiches at home, there are all kinds of cheese to use. In my case - because of dairy allergy - I used Daiya Vegan Cheese. It melts like regular cheese and has a great flavor. Daiya's mozzarella flavor works great for this, as well as its Jalapeno Garlic Harvarti. Yum. Whatever kind of cheese you like, enjoy National Grilled Cheese Sandwich Day! I couldn't wait to try out the Burger 21 that just opened near UCF in Orlando, Fla. I had been seeing tantalizing pictures of its delicious burgers and shakes on Facebook for two weeks before I had to chance to go in. Plus, there is another Burger 21 by the Mall of Millenia, but I haven't tried it yet. When I walked in the new restaurant on a busy Friday night, I noticed the fun, modern decor. The decor is such a contrast to the type of desserts offered: old-school milkshakes, sundaes and floats. In fact, that is one of my favorite parts of the restaurant: the bar area where you can watch your milkshake or sundae being made. This ice cream bar has modern twist, though: you can also order beer and wine. I was also blown away by the 21 different burger choices on the menu. We are not just talking beef. There are seafood, veggie, chicken, and turkey burgers. How refreshing! I almost never see these options on burger restaurants' menus. Plus, there is a gluten-free menu: you can order several hamburgers with gluten-free buns, which is also unheard of. We ordered The Bacon Cheesy and The Mediterranean, a grilled chicken burger with Panko bread crumbs, feta spread, carmelized onions and roasted red peppers. I was pleasantly surprised that the chicken burger was so moist and flavorful. And all the toppings worked together so well. The Bacon Cheesy is a beef burger with applewood-smoked bacon, red onions, and cheese. This is a better burger than Five Guys, but is certainly not the best we have had. For the price ($7.49), I think it's great! We also ordered the Black & Bleu burger form the gluten-free menu. I was surprised that a gluten-free bun could have such great texture and flavor. The French Fries and the Sweet Potato Fries were okay. They came out cold and they were normal shoe-string fries. Dessert is pretty much the star of the show. We tried the shake flavor of the month: Apple Crumble. While it is a little too sweet, it tastes exactly like apple cobbler or apple pie. What a treat! The prices are so reasonable here: $5-$7 for 4.5-ounce burgers and $6-$8 on average for 6-ounce burgers. To celebrate the opening of the UCF Burger 21, Flavorful Excursions is giving one of our lucky readers a $25 gift card. Simply tell us your favorite burger topping in the comments section below or on Facebook (www.facebook.com/ flavorfulexcursions) and you will be entered to win! Deadline: March 28 at midnight. 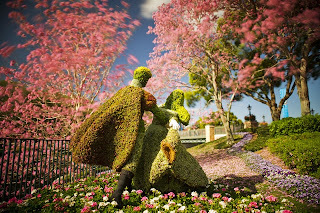 I love how Walt Disney World in Orlando has changed things up this year and added food and drinks to the annual Epcot International Flower & Garden Festival! Epcot's talented chefs have created fresh dishes that are inspired by gardens and backyard living. For example, the Florida Fresh at World Showcase Promenade features Shrimp and Stone Ground Grits with andouille sausage, Zellwood corn, tomatoes and cilantro. Other tasty dishes around the World Showcase include: "Frushi", made with fresh fruits and coconut rice; Smokehouse barbecue, and Angel Food Cake with Florida Strawberries. Meanwhile, fresh fruits and veggies are the inspiration behind the alcoholic drinks and "mocktails" during this year's Festival. The Dole Whip has been upgraded to include spiced rum - there is nothing that sounds bad about that! Florida Orange Groves Winery is featuring its Hot Sun Tomato Wine. 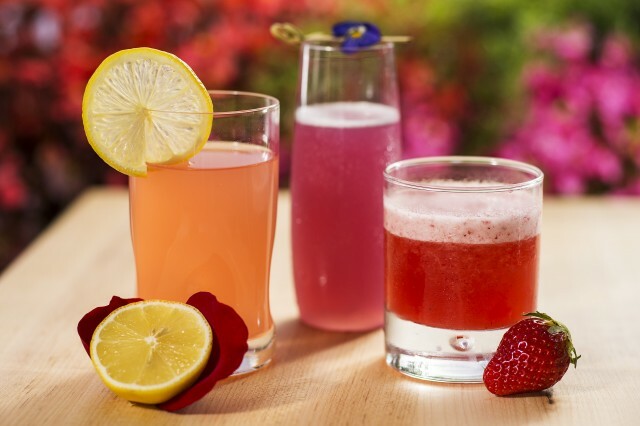 The refreshing-looking non-alcoholic beverages include Wild Berry Slush and Frozen Desert Violet Lemonade. I can't wait to try these. Of course, the Flower & Garden Festival has all of the other things that makes this annual event so popular, including the unbelievable topiaries, HGTV seminars, and the fun Flower Power concert series. 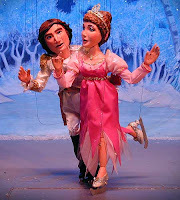 To see all the photos from this year's Festival, visit Flavorful Excursions' Facebook page.